All of the start ups such as Electra Meccanica and Archimoto are relegated to building three wheelers in order to circumvent nanny state crash testing. Mandating every car to obviate user responsibility via 500 kg's and $5,000 of safety structure and equipment is regressive. It prohibits development of ultralight 4 wheeled transportation which would be much more sustainable than the 2,000 kg monsters we are stuck making now. This mandate killed Aptera. 3 billion people cannot all have a 2,000 kg car that costs $40,000. Thank the NHTSA and their insane "Towards Zero Deaths" policy. Regarding Aptera, though: Aptera killed Aptera. Aptera floundered because they were forced to initially pursue a 3 wheeled format to circumvent crash certification. They had the vehicle essentially ready for production when the investors realized there were very few people willing to drive a 3 wheeled vehicle. So they tried to change the design to 4 wheels at the last minute which squandered any remaining working capital. Totally agree with this. The lighter the average vehicle is, the less lethality it has to other vehicles in a crash. I was very surprised to read than the BMW I8 and its carbon fiber weighs MORE than my four dour V6 accord. 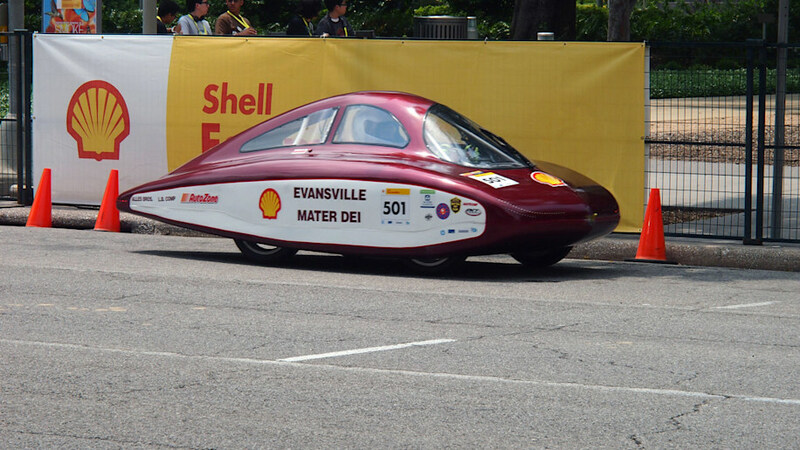 I was reading about those eco marathon urban concept vehicles yesterday, pretty cool! They would need to let them go faster than 25 mph though. Carbon fiber really isn't that good for building structural parts of a car. In a crash steel bends, carbon fiber shatters. Aluminum and or magnesium alloys would be better. Odd. Not-RElio generated quite a buzz and many pre-orders. You'd think with all that high-paid expertise on board at Aptera they'd have decided on the number of wheels before the 11th hour. The government has all sorts of nanny rules that don't make sense. It's illegal to be in a boat without life jackets onboard, but not illegal to be in the lake with no life jacket. A car has to pass crash safety, and an occupant must wear a seatbelt, unless the person is riding a motorcycle. All sorts of homeopathic "medicine" that is unregulated, but I can't go to a healthcare professional that isn't licensed, or licensed at a lower level than Dr or PA.
Government should allow unregulated (almost) everything, so long as the unregulated things clearly state they are unregulated, and that the user accepts a higher level of responsibility. Consumer advocacy groups would pop up that would help guide people's decisions. We live in absurd times. Safety regulations aren’t about safety. They’re about protecting profit, preserving power. As old man Rockefeller had it, competition is a sin. It's a cycle of corruption where somehow those harmed feel that they have been served. Politicians look great because they have grown government in the name of protecting citizens > Cartels prosper because barriers to entry have been imposed > Citizens feel safer because businesses proudly display a piece of paper saying the government has blessed them to perform the work. These laws in effect ban manual transmissions, multiple engine choices and even stopped Toyota from gluing on an 18lb solar panel to their sheet metal roof.